← Research on lab chimps is over. Why have so few been retired to sanctuaries? 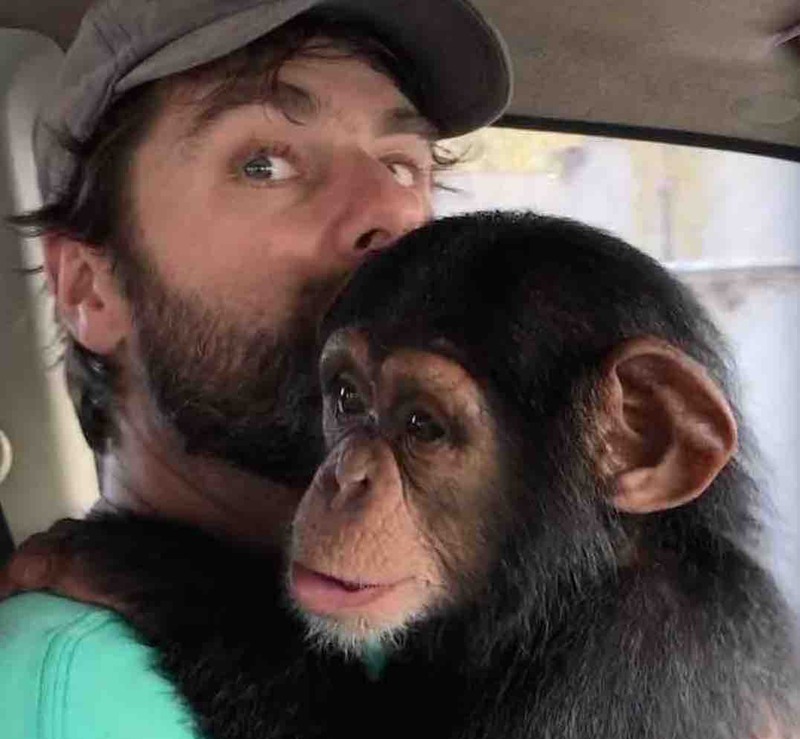 Jenny and Jim Desmond arrived in Liberia in 2015 with a big job to do – overseeing the care of the 66 chimpanzees abandoned on six Marshall Islands by the New York Blood Center. They had come from Kenya where they had been assisting in looking after monkeys at Diani Beach’s Colobus Conservation, where the PEGAS project manager first met them. Within weeks of their arrival in Liberia, the government would be adding to their workload by bringing them orphaned baby chimpanzees who needed sanctuary, amongst them Guey and Sweetpea, which PEGAS had helped rescue from appalling circumstances of captivity. Liberia has a maximum of 2,000 wild chimpanzees remaining in its forests, made up of the critically endangered Pan troglodytes vera, the highest level of threat of extinction on IUCN’s Red List. The fact that these great apes are critically endangered doesn’t stop poachers from illegally hunting them for their meat. 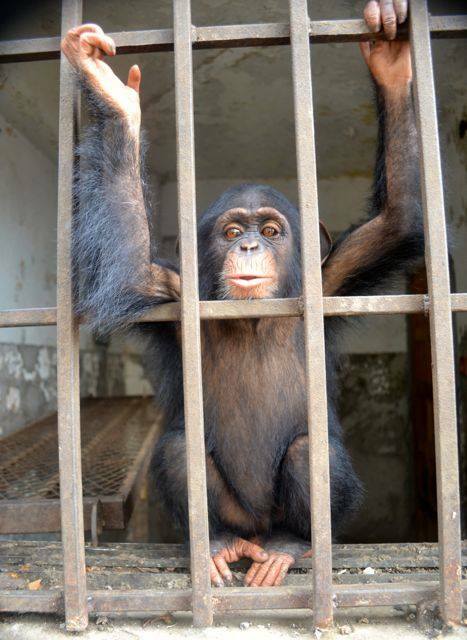 The baby chimps, orphaned when their mothers are killed for their meat, are then sold as exotic pets. 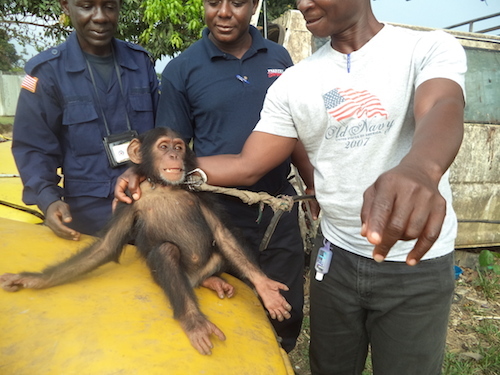 Chimps rescued from the illegal exotic pet trade in Liberia are brought to Jenny and Jim Desmond with Liberia Chimpanzee Rescue & Protection (LCRP). Before the Desmonds arrived in Liberia, the government turned a blind eye to the illegal chimp trade because authorities had no place to put chimps confiscated from their captors or new “owners.” Because the Desmonds have experience rescuing and rehabilitating great apes, authorities began to bring them babies – some just weeks old. Baby chimps rescued by LCRP are raised by surrogate mothers until they are old enough to be integrated with a group of juveniles who no longer need around-the-clock attention. The Desmond’s use the Liberia Institute of Biomedical Research grounds for their temporary sanctuary, not ideal for raising orphaned chimps. Ironically, LIBR was the institute that conducted research on the Marshall Island chimps for so many years. 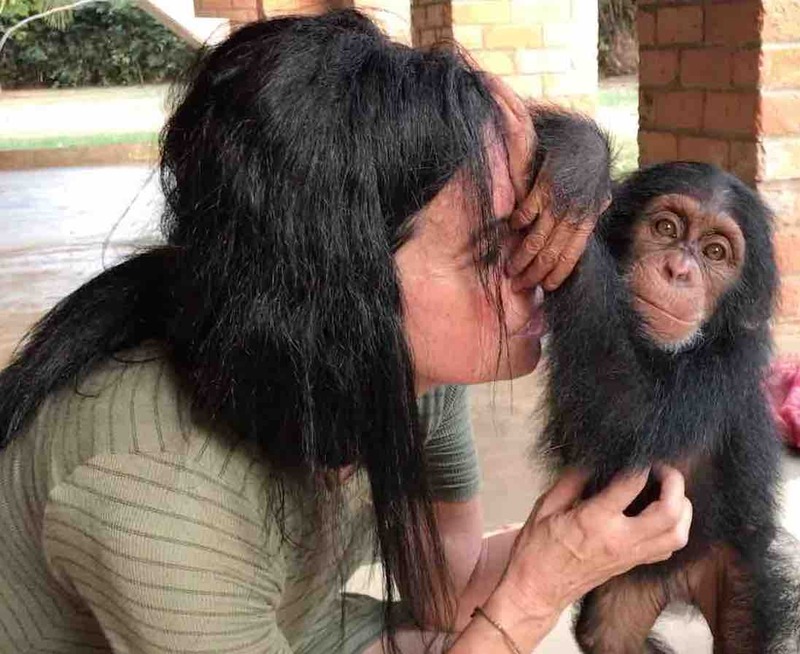 Jenny and Jim are therefore now looking for land in a nearby forest to build a proper sanctuary with all of the facilities needed to care for the chimps, including an infirmary, overnight housing for the babies, a kitchen, offices and housing for caregivers and volunteers. Now, they need to raise money for the LCRP in order to build the sanctuary. 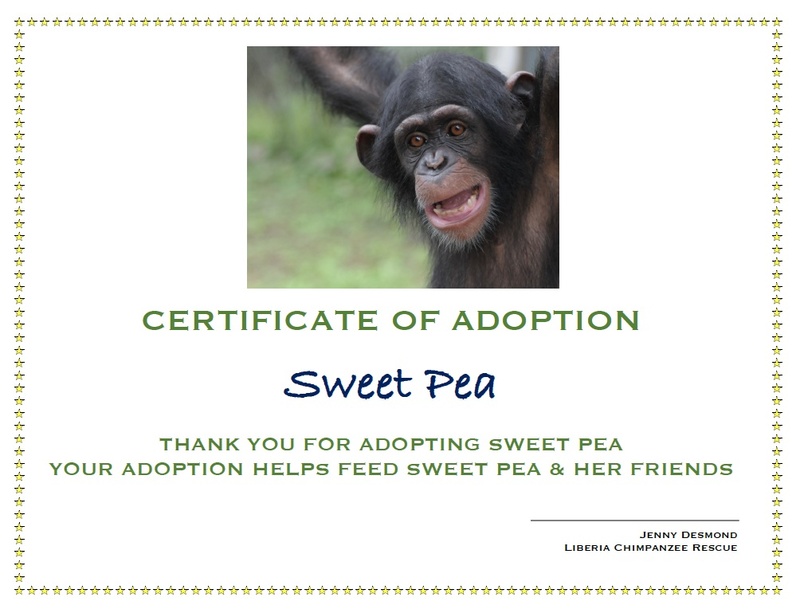 PEGAS has adopted Sweetpea as a small contribution towards her upkeep. Please follow Liberia Chimpanzee Rescue & Protection (LCR) on Facebook and Twitter. This entry was posted in chimpanzee, Liberia, sanctuaries and tagged chimpanzee, Liberia, sanctuary. Bookmark the permalink.